Narcan has been used by paramedics and emergency room doctors for decades, to save lives. East Rockaway, NY - December 22, 2015 - To help save lives and combat the Heroin epidemic, Nassau County Executive Edward P. Mangano, County Legislator Howard J. Kopel and State Assemblyman Brian Curran will partner with the East Rockaway Fire Department to host a free Overdose Prevention Seminar on Wednesday, January 13, 2016 from 7 p.m. to 9 p.m. at the Grant Avenue Fire House, located at 13 Grant Avenue in East Rockaway. Residents will learn how to administer Narcan - the lifesaving antidote that can reverse the fatal effects of an Opiate overdose – and, learn the warning signs of drug addiction, treatment options, personal stories of recovery, and more. At least 190 Nassau residents died from Heroin and prescription painkillers last year. Narcan has been used by paramedics and emergency room doctors for decades, to save lives. Yet a 2006 State law allows citizens to administer Narcan in an attempt to save a life, without fear of liability. Nassau County has already provided Narcan training for nearly 6,000 people since 2012. At least two dozen trainees have used that knowledge - and the Narcan kit they were given - to revive someone overdosing on Heroin or painkillers, and save their lives. 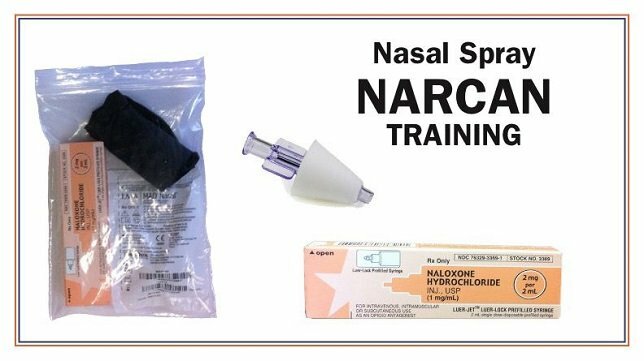 Narcan is administered through a nasal spray, and is provided at no charge to trainees over the age of 18. Social Worker and Certified Alcoholism and Substance Abuse Counselor attendees will be eligible to receive free Continuing Education Units (CEU) for the two hour workshop – which is provided by the Nassau County Department of Human Services. Anyone can attend, but seating is limited. Residents MUST pre-register by email or by calling (516) 571-6105. For dates and locations of other Overdose Prevention Seminars, visit online. Subject: LongIsland.com - Your Name sent you Article details of "Mangano, Kopel, Curran And East Rockaway Fire District Offer Free Lifesaving Overdose Prevention Seminar"